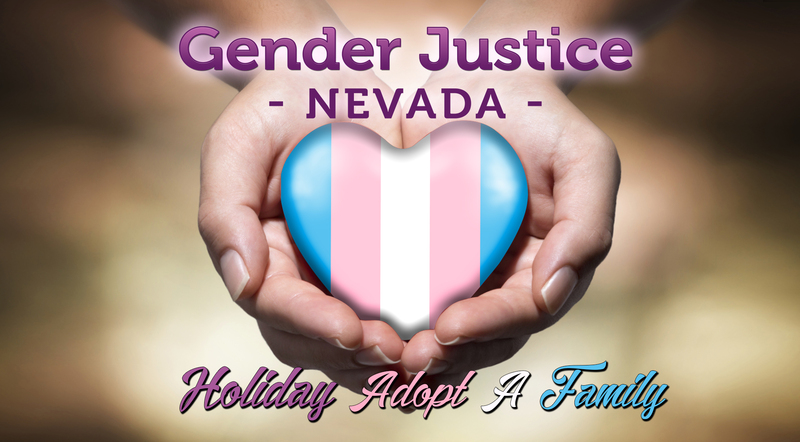 Gender Justice Nevada is adopting a family for the holidays! Please join us in helping to give a deserving family some much needed holiday cheer this season. At the head of our special family are the amazing parents of 5 beautiful children, 4 of whom were once in the foster system and have now been adopted into their loving home. These wonderful parents are also supporting their beautiful 9 year old transgender daughter, who recently transitioned and is thriving in their loving, accepting and supportive home. This amazing family is experiencing financial hardship, and is in need of your help this holiday season. Add joy to your holiday by doing something that will make a difference in another family’s life by making happy holiday memories possible for children who need it most. Please help us to support them by donating. Gift and clothing donations can be dropped off at Summerhill Executive Suites, 7465 W Lake Mead Blvd, in the reception area. We will also pick up your donation, please call Laura at (702)429-5405 or email lhernandez@genderjusticenv.org to arrange a pick up. Toys: Star Wars, Legos, Minecraft, gift cards for regal theaters, Apple, Amazon.